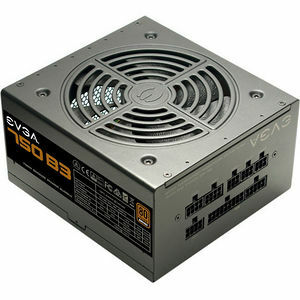 EVGA Bronze power supplies have become synonymous with industry-leading stability, performance, and value. With the B3 power supplies, EVGA now adds fully modular cables, the ECO Intelligent Thermal Control System, even tighter voltage regulation (<2%), and a Long Life Sleeve Bearing Fan for ultra-quiet performance with an increased lifespan. Even more impressive, these power supplies continue to get shorter compared to its predecessors. Backed by EVGA's 5 Year Global Warranty, the EVGA B3 lineup will give you peace of mind for years to come. Join the evolution of the Bronze age.